Experience: They are a German producer of safety helmets for motorcyclists and for industrial workers. Established: Since 1922 and have been producing helmets for over 90 years. Interesting Facts: Schuberth develops motorcycle helmets for specialists in mind and designing with aerodynamics performance. 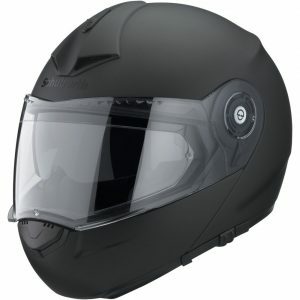 The Scheberth C3 Pro Motorcycle Helmet is absolutely highly recommended in my opinion. I would say it is probably the best in the world with its advanced aeronautics of 82 dB(A) at 100. Very good reputation, I recommend you pick up yours before they sell out. This model follows from its predecessor which had a high reputation of being the technological quietest helmet. It has outstanding aerodynamic performance of speeds greater than 100 mph.